Read more about our business development group. Welcome to NAPA AutoCare Select Service Centers of Jacksonville! The Jacksonville NAPA AutoCare Select Service Centers are a group of independent & family owned businesses. We work together to ensure that we provide you with the best auto repair services in your area. 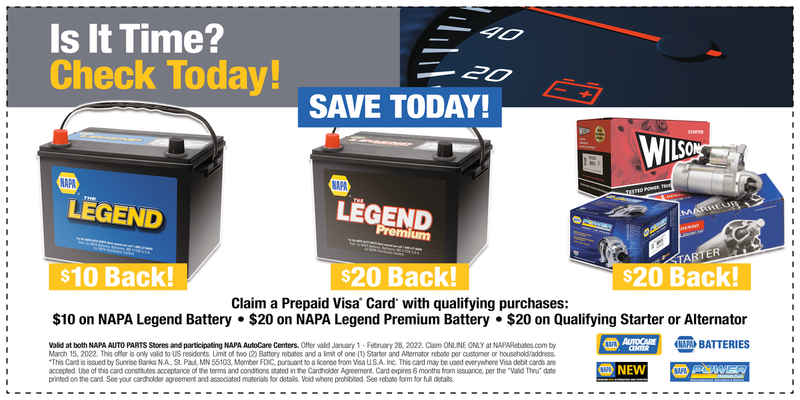 In addition, the Jacksonville NAPA AutoCare Select Service Centers offer promotional specials which are available only at NAPA AutoCare Centers in the Jacksonville, FL, area. To increase the NAPA AutoCare Brand Awareness in Jacksonville while enhancing the service we provide by sponsoring training for technicians, service writers and owners. We would like to welcome our new participating AutoCare shops. Welcome; Allstar Automotive and Clay County Transmission III, Inc. to the Jax Napa Autocare Group please go to our locator page to find a participating Napa Autocare Repair shop near you.